This is one of my favorite cooking memories of university. Cooking is like a relaxing therapy for me. So during my exam periods I always prepared the best dishes. For those who actively follow my blog already know by now that I usually did the food shopping on the market. On these rainy days I start daydreaming about the gorgeous markets and its food. Even if the recipe is a result of a lazy evening during the exam period, it is a very healthy and light one. 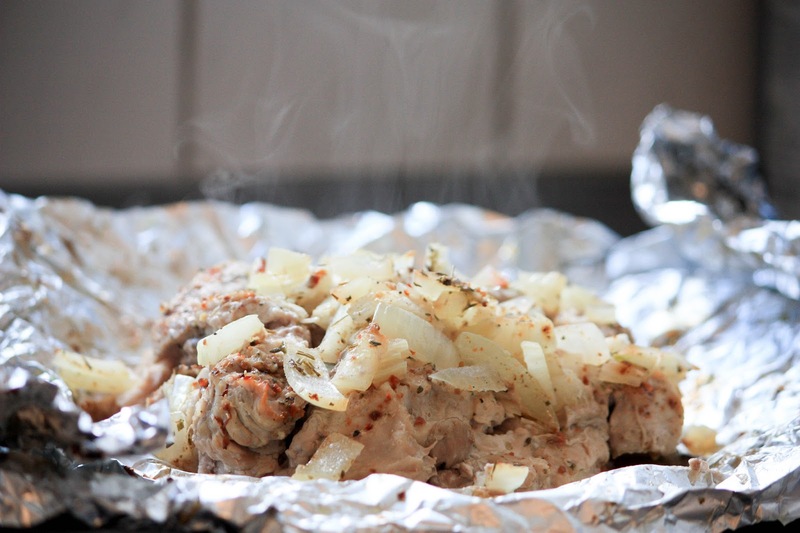 There is not a lot of grease in it and the sauce comes from the onions' and meat's liquid. The interesting part about papillotes is that you can play with spices as much as you want. And you can use any meat you want. Chicken is another very interesting type of meat for your papillotes. You can travel from North to South, from East to West and use as many ingredients as you want. Peel the onions and cut them into little cubes. 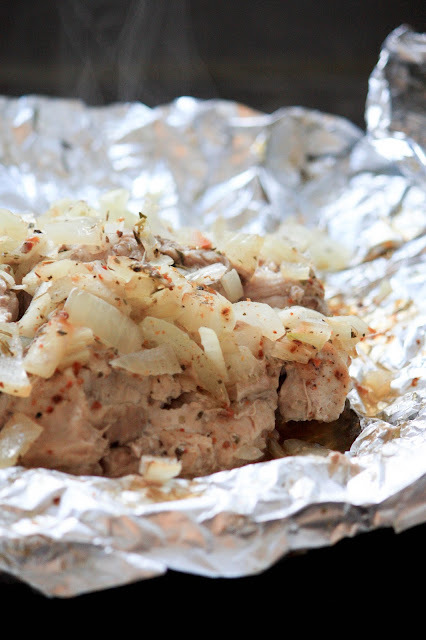 Place one onion on the kitchen foil. Then cut the veal meat into small dices and place it on the onion. Add salt and pepper as well as the garlic cloves. 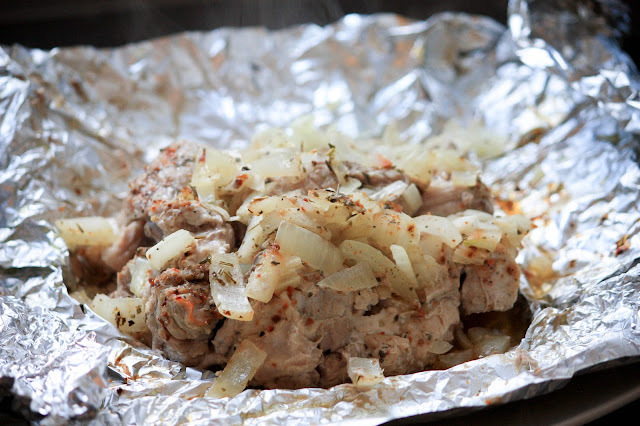 Now you can place the second onion on the garlic and meat mix. The seasoning is up to you. Put as much of each spice as you want but be careful with the cayenne pepper. 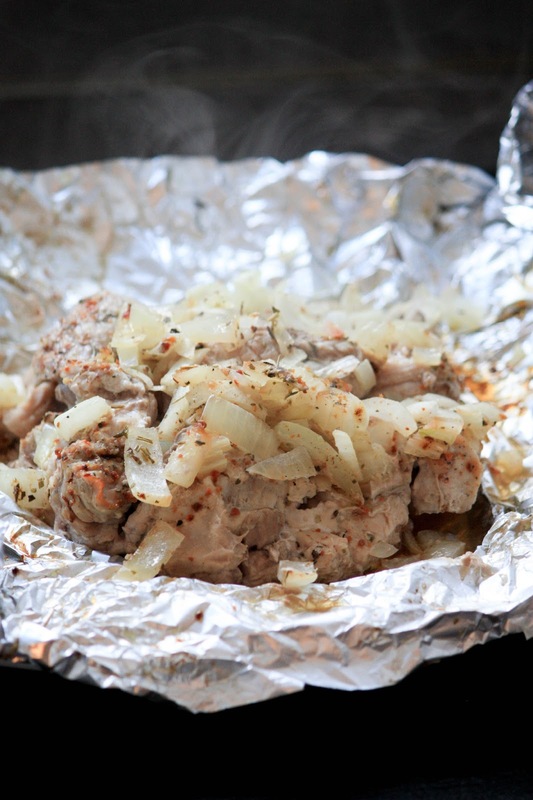 Wrap the kitchen foil together in such a way that it is completely closed. Put into the oven and let it cook for 40 to 45 minutes.